1. 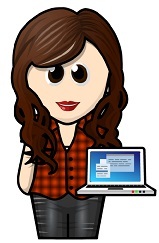 Hi and welcome to my blog, Lucy! So, your pen name is Lucy Saxon. Is it a coincidence that you share the same name as the woman married to the Master, or is it a conscious choice? That was definitely a conscious choice! Back when I started going to conventions, I met my friend Harry IRL for the first time when he was cosplaying the Master. Obviously his name being Harry, my name being Lucy, he started calling me his wife, and thus I became Lucy Saxon! I used the name online for years, to the point where half my friends forget it’s not actually my name, so when it came to publishing it seemed only natural to go with it. Especially as my real surname gets misspelled so often! 2. I've seen some of your Cosplay costumes online--they're awesome, btw--and was wondering when/how you got started? Oh, and do you have a Cat outfit already made? Thank you! I got started after that first convention, spending time with Harry and some other online friends. They were all in cosplay and it looked like loads of fun, so the next con I went to, I got a cosplay together for it! Everything just escalated from there, and now cosplay takes up at least 75% of my waking thought, and a decent portion of my wallet, too! I don’t have a Cat cosplay ready, no; I’m actually going to be cosplaying Fox, which I’m really excited for! My friend Lisa is cosplaying Cat, and some of our other friends are looking to cosplay the rest of the crew. It’s going to be amazing. 3. I read that you wrote TAKE BACK THE SKIES during NaNoWriMo. So I'm wondering, is that the only time you've taken part, or have you written other books during the fun and frenzied month of November? I’ve done NaNoWriMo every year since 2008, and am aiming to continue to do so, though I have no idea if I’ll have time this year what with actual publishing stuff going on. The first couple of novels will probably never see the light of day, but there are a few I’m hoping to revisit in the future! NaNo makes it easy for me to set aside a long period of time to get some serious writing done, so I really hope I can keep it up. 4. 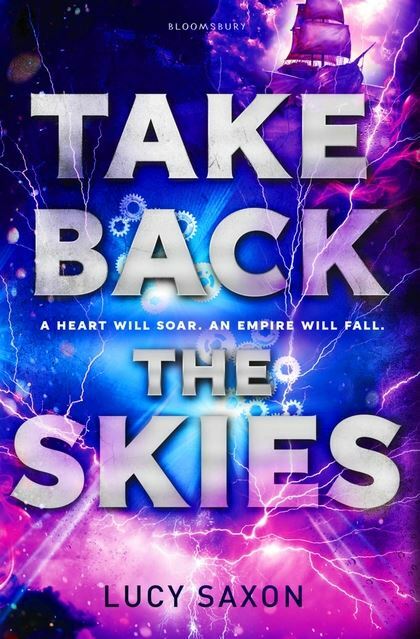 I read TAKE BACK THE SKIES over the weekend and loved it. I thought I spotted some influences--1984, Doctor Who in particular. Are you inspired by particular books, movies or shows? I’m inspired by all sorts of things when I write, and a lot of the time I don’t realise I’ve been inspired until someone reads some of my work and tells me it reminds them of something. I think with Skies I was inspired by a lot of the dystopian fiction going around at the moment, and also the steampunk elements of Cassandra Clare’s Infernal Devices. It’s hard not to be inspired, when there’s so much available in the form of books and film; creativity inspires more creativity! 5. Without giving away any spoilers, what can we look forward to in future books of this very interesting series? Lots of travelling! The series is unusual in that it will have a different set of characters in each book, with each being set in one of the countries of Tellus, moving across the map. So the timeline will shift around, and you’ll get to meet all sorts of people and their different cultures within the world of Tellus. I’ve got some interesting plotlines planned for this series, and I really hope people will enjoy them! Lucy, thanks so much for answering my questions. If you'd like to know more about Lucy, check out her website.